June 12, 2015 - In a case that garnered nationwide attention, air transportation giant United Airlines Inc. has agreed to pay more than $1 million and implement changes to settle a federal disability lawsuit filed by the U.S. Equal Employment Opportunity Commission (EEOC), the agency announced on Thursday. 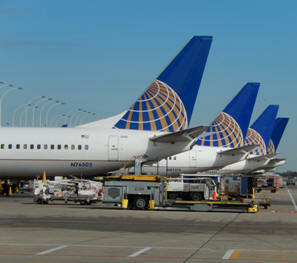 The EEOC's lawsuit charged that United's competitive transfer policy violated the Americans with Disabilities Act (ADA). The law requires an employer to provide reasonable accommodation to an employee or job applicant with a disability, unless doing so would impose an undue hardship for the employer. By requiring workers with disabilities to compete for vacant positions for which they were qualified and which they needed in order to continue working, the company's practice frequently prevented employees with disabilities from continuing employment with United, the EEOC said. This resolution concludes a lengthy and complicated lawsuit. Although the EEOC originally filed the lawsuit on June 3, 2009 in U.S. District Court for the Northern District of California - San Francisco, United successfully moved for a change of venue to the Northern District of Illinois. Bound by an earlier precedent which held that a competitive transfer policy similar to United's policy did not violate the ADA, the lower court dismissed the EEOC's case in February 2011. However, in a decision reviewed by the full court, the Seventh Circuit agreed with the EEOC that EEOC v. Humiston Keeling, 227 F.3d 1024 (7th Cir. 2000) "did not survive" an intervening Supreme Court decision, U.S. Airways v. Barnett, 535 U.S. 391 (2002). The Seventh Circuit reversed the lower court's dismissal and found that "the ADA does indeed mandate that an employer assign employees with disabilities to vacant positions for which they are qualified, provided that such accommodations would be ordinarily reasonable and would not present an undue hardship to the employer." The Supreme Court refused United's subsequent request for review on May 28, 2013. EEOC Appellate Attorney Barbara Sloan handled the appeal and Supreme Court briefing for the agency.